Feel The Need To Rage At a Teammate? Or Maybe Getting Raged At? Here’s Some Tips On Dealing With Rage Directed Your Way And On How To Avoid Being A Toxic Player. Hello summoners! 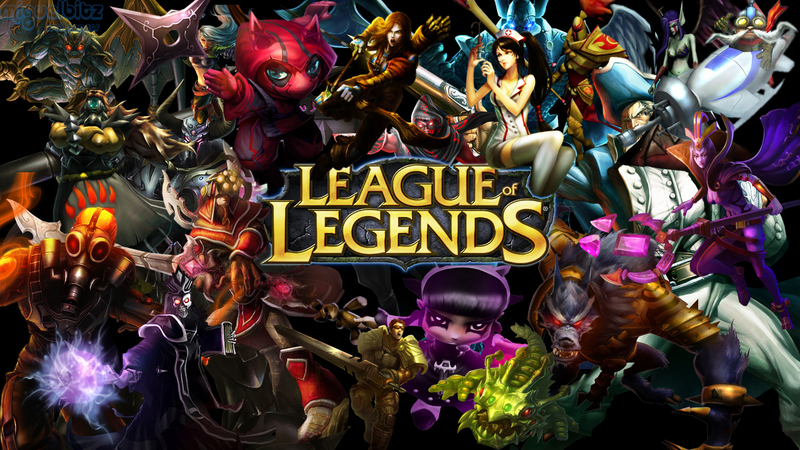 This section covers the reactions that occur in League of Legends. Reactions to what you may ask? Well, there are times when you will have a bad day and do poorly in lane. There are times where you miss an opportunity or accidentally take a buff. There’s a bunch of stuff that could happen and someone will call you out on it and it’ll happens sooner or later. That someone just might get upset and it’ll be the end of it. Other times they’ll keep complaining and hating on you. This is one situation you can land in. Thankfully, if you’re starting out playing LoL now it’s less likely to occur thanks to the Tribunal. Another situation is if someone else is doing badly on you’re team. If you have patience, you can probably let it go and try the best you can for the game, even offer advice. However, if you’re the type that gets upset easily over this, you might be tempted to lash out. You may not see or feel the need to rage if you’ve just started playing LoL (assuming you’re coming from a non-MOBA background) because usually everyone is learning… well… basically everything. For those who don’t know, toxic players are people that are angry-all-the-time players and will lash out over the smallest mistakes even if they’re the ones doing badly. These people usually get found and their accounts banned if their toxic behaviour ensues. Goes pretty much for any game really. If you find yourself getting upset because you lost 5 games in a row, I think it’s time for a break. Go relax, watch a movie. I heard there’s this thing called the outdoors? Maybe give that a shot. Come back later when you feel better. Maybe even the next day if that’s what it takes. This helps eliminate if not reduce the stress and the frustration you feel. If you see that the person raging at you because you’re doing poorly in lane, you can them your situation in the game. For example, if your opponent in lane totally outplayed you, you can say there’s really nothing you can do but try to farm at tower and ask for ganks. If the they can’t understand the situation you’re in and aren’t willing to help, then that’s them not being a team player. You can throw people off by saying something completely ridiculous like “The aliens are invading my brain!”… I dunno, be creative and roll with it. It’s fun to do sometimes and it releases some stress off of you, even if you lose the match in the end. While I was leveling and had people raging at me, I sometimes forgot I had this feature. If you press and hold the Tab key and go the the right of each player, you’ll see some radio buttons (the circle thingy) there. If you check one off, you will not be able to see any text that player puts into chat any more and they will be added to your ignore list. Unchecking the radio button does the opposite. Very useful if you don’t want to deal with any rage and just play the game out. You can still see pings on the mini map so you can still receive useful information from them. That concludes Part 2 of this guide. It was just a few tips but I hope you found this part a bit helpful, if not, a bit insightful. Hopefully you find your own way to deal with toxicity. Have a good time on the Fields of Justice! I’ve been planning to do this for a while and have a League of Legends Guide Series that will cover the stuff beginners can use to get started to playing League. 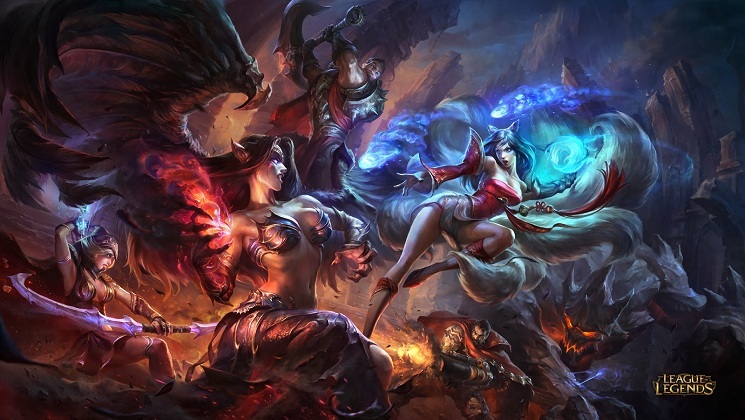 These guides you may be able to apply to other MOBAs such as DoTA2 or SMITE but seeing as how League of Legends is the most popular of the MOBAs at the moment, I’ll focus on LoL oriented things. These guides will cover beginner stuff as well as things experienced players should know. I know there are a few of these beginner guides out there but I’m hoping this one will be a bit more unique. 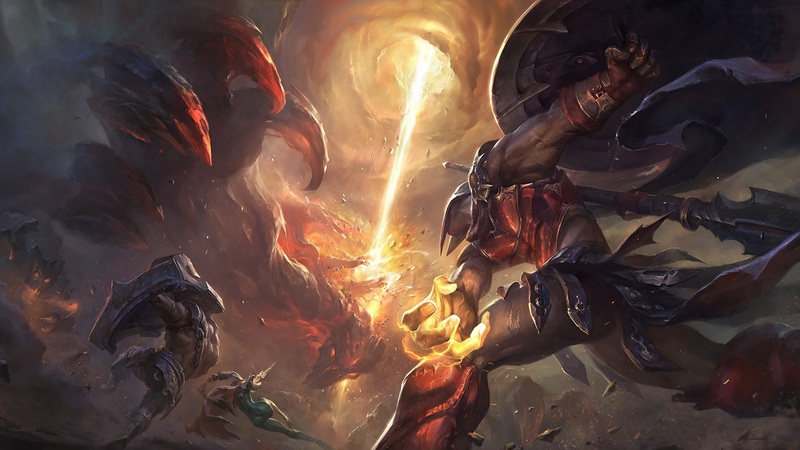 I wanted to highlight the mechanics of the game people should learn, the lane roles, and the behaviour aspect one should take when playing League of Legends. I estimate that it’ll take about 7 parts and I’ll hopefully have the series completed by the end of September. So without further ado, let’s get started! Ok, now before getting all excited and jumping into a match, if you’re new to the MOBA genre, do the tutorial. Yes, I’m seriously telling you to do the tutorial. It covers the MOBA basics and you’ll need it to understand how matches work. If you’ve never played LoL before, I don’t expect you to know all the champions but read the skills of the ones available to you. Understanding of what a skill does help in picking a champion you think will fit the play style you enjoy. As you play more and more, try out new champions (when they come on rotation, etc) to eventually learn them all or at least about them all. It looks overwhelming but it’s possible. You can learn the counters to other champions and even find new champions you like by doing this. By level 20 I’d say you should be comfortable with at least 5 to 8 champions. These are in your Summoner Profile. At low levels you really won’t see much of a difference but you’ll see the eventual use for these as you go along. Runes basically help with your early game. They provide you with extra stats early to have a better laning phase. Masteries help provide extra stats as well as augment your stats throughout the game. You can customize your rune and mastery pages to suit the champions or roles you play. Gold Income – The more you last hit, the more gold you get. which mean the more items you can get faster which can help you eventually win your lane and do well in team fights. And learn it soon. Yes, people should ping or say something in chat if a person is missing in their lane. However, you should not solely rely on that. Some people could be thinking that they went back to base or taking a jungle buff. They could be behind and are concentrating on farming. It’s up to you to look at your mini map every few seconds to see how things are going and where people might possibly be. For example, if you see the enemy in middle lane isn’t there and you’re pushed up to the enemy tower in bottom lane and you have no wards covering you, you probably want to back off. One of the things you should learn early is to lock / unlock your camera as needed. This helps you view other parts of the map when necessary and especially helps you in lane if your on purple side. Not to say it isn’t useful for blue side but because of the locked positioning of the camera, it’s harder to look down a lane if you’re on purple side. Go into a custom match and mess around with the settings that seem most comfortable to you. I personally have my lock / unlock camera to my space bar. Note that if you check a part of the brush with a range ability, doesn’t mean that they’re not in it. The skill could miss the person. The most sure-fire way is with a ward. Usually your side of the jungle is safe early game unless there is a level one invade or the enemy jungler is in there. Lane brushes are safe as long and you have an idea of where the enemy is. If you know an enemy is in a brush, you can fake having a ward in there by going into the brush in numbers. That would scare off any cautious player. Eventually you’ll be able to assess for yourself how safe a brush is to just walk in it without any worries of dying. As you should be keeping an eye on your mini map, you should keep an eye on your jungler. Your jungler might ping for an incoming gank or might go in. If the jungler waits as a nearby brush, they’re probably waiting for an opening. You might have to create that opening by zoning the enemy into an ideal spot to start the gank. You should also aid you’re jungler if they get spotted out and if you’re nearby. Also note that if a lane is doing well, they might come to support you in your lane so look out for those moments as well. Don’t follow up ganks if you can’t get anything out of the attempt or might die trying to get a successful gank. For example, you’re at 200 health and out of mana while the enemy is at full health and full mana. USe a retreat ping to signal you don’t want a gank or can’t follow up a gank. The person coming to gank for you will have to make a choice: to go somewhere else or try to gank by themselves. Too many times have I seen games lost because of poor ward coverage; usually during laning phase or mid game. Before you blame the support. No. Stop right there. Everyone can buy at least 1 or 2 wards for themselves during laning phase. If bot lane does poorly, you can help getting map vision with buying 1 or 2 more wards. Don’t get too carried away with buying wards though as it might take away from building the items you need to fight. The only one who is exempt in most cases for buying wards is the Attack Damage ranged carry because their items cost a lot. There are times when you get really low but you don’t want your tower to take damage. If you don’t have health potions on you to regain health, then it’s probably a good time to head back to base. Your tower may take damage but think about it? If you’re opponent is at full health and mana and has the capability to dive you, it’ll more likely happen if you’re at 100 hp. Go back, buy stuff, head back to lane as quickly as you can. It’s beter to lose a tower and farm again then to die and lose a tower. The times where you want to stick around is when you want to bait an enemy in so that a teammate can fight them or in teamfights where it’s worth dying for. If you’re going to die and you know you can do anything about it but have a chance to take someone with you or do damage so that another teammate can pick up the kill, do it! If the enemy is low from killing you, it will most likely force them to head back to base and the threat of that enemy engaging in another lane is gone. If you get a person low and someone else picks up the kill you both get gold from it so it’s worth it. Team fights are what games come down to. If your team fights better then the other one, then it’s most likely that you’ll win. Team fights usually start with someone engaging (be it the enemy or you), by an enemy getting caught out. If a team engages, it’s usually because an opening is seen to start a fight. Depending on what you’re playing, it’s up to you to fulfill your role. If you’re tanky, protect your squishy teammates by being inbetween them and the enemy. If you’re ranged damage, stay behind your tanky teammates and dish out damage. If you know you’re powerful enough to go up closer, by all means do so. If you’re an assassin, dip in and out of the fight doing burst damage. I think you get the point. How to engage a team isn’t really set in stone. For example, you’re caster might be the one you need to engage team fights. You’ll see this early-mid level to 30 where you take out a person and they call KS as in “kill steal”. The only, and I mean ONLY valid kill steal is if the person got the enemy down to really low health and can easily get the kill and then you swoop in and take the kill. Otherwise ignore them and keep playing. I remember a game where a person kept calling KS on me every time, even if I was 1v1 and they came afterwards to the fight. I ignored the person and kept playing normally. If you don’t ignore it, it leads to hesitations in fights. If you’re worried about “kill stealing” you’re going to try to not to kill the enemy and that could lead to the enemy getting away or even worse, killing you or your teammate, or both! Again, don’t worry too much about it and just go for it to secure kills. I learned a ton about the game just by watching LoL streamers. You’d be surprised on what you could learn. I suggest Guardsman Bob’s stream to start out with. He’s a very chill streamer and offers a lot of insight to the game. His site also has a list of LoL streams online. I’ve seen people level to 30 just playing a specific role or 2. You should learn all the roles in order to understand the mechanics they provide. I will cover each of the roles in the coming weeks, so don’t fret if you don’t knowwhere to get started. More in depth in the next post but don’t bash someone if they’re not doing well. This distracts the person and not only lowers their morale, but the team’s morale. It can also lead to a text war between the both of you and you’re both just wasting time and giving the enemy team a free win. If you have nothing good or constructive to say, just don’t say it at all. Not to be taken literally but let me explain. In the most general cases, if some people do badly in lane, people are inclined to surrender. I say hold up till mid game. Team fights usually determines how the rest of the game will go. If you’re losing all your team fights and not getting any objectives, then maybe a surrender is the best solution. If you see you can win team fights and take objectives as a team and you have a chance to come back. 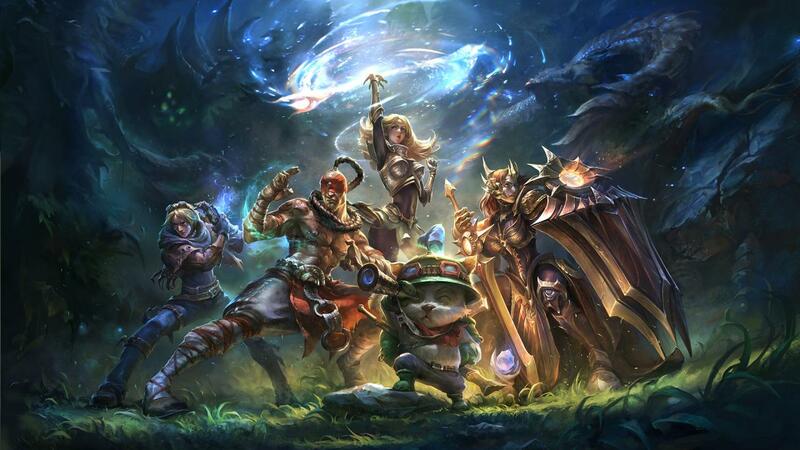 And those are the basics you need to know to play League of Legends well starting out. I’ll add more topics to this post if any pop up. Next week I’ll be covering in depth the behaviour you should have while in a match. Thanks for the read! If you felt I missed something let me know either in the comments or on twitter!